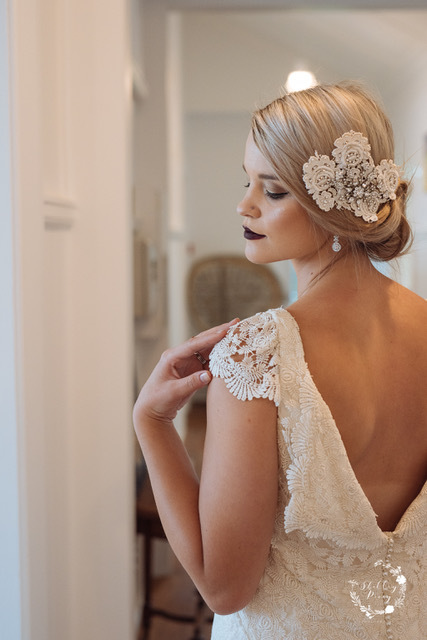 The couture bridal atelier that creates luxurious bespoke wedding and bridesmaid gowns. Uniquely designed and crafted from fine European laces, silks and embellishments. Margaret Wray is committed to the fine art of handmade. 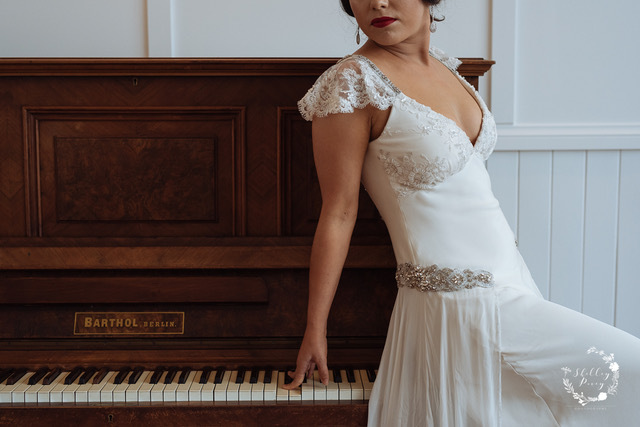 Margaret Wray is a couture bridal atelier creating bespoke vintage inspired wedding gowns with a contemporary finish and feel. The ambition of designer Jamie Richards is to ensure the creation of your unique Margaret Wray gown is perfectly suited to you and your budget. During each appointment your ideas and agenda for your day are discussed and exploration of different styles to complement your vision are pulled together, then the fun really begins. Together we create the perfect gown designed especially for you by selecting fabrics and trims to suit you individually and the style you have chosen. We will make sure you feel comfortable and make well-informed choices with design and fabrics which will work best for your day. All gowns are designed, fitted and finished by Jamie Richards, who following studying fashion design and technology, has 14 years’ experience in London as a garment technologist across premium and luxury fashion brands. It is these skills and previous experience with New Zealand that are utilized to create a heavenly fitting gown to your perfection. A gown created from the knowledge and experience she has attained through all who have inspired her and have led her to create a business with craftsmanship and individuality at its heart. 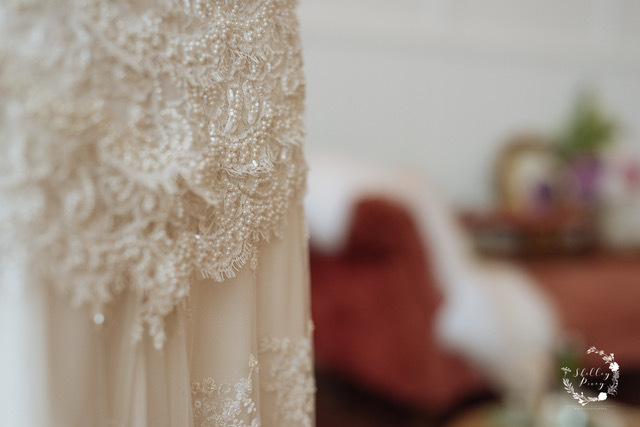 Jamie is passionate about beautiful creations and elegant dresses, with each client she ensures that from sketch to finished garment the process is an exciting, inspiring and personal journey. Jamie, who is originally from a quaint town in New Zealand has always loved clothes, trinkets; special things that make women smile. Growing up it was important for her to seek inspiration not only where she has come from, but from places, cultures, countries and other inspiring people around her. 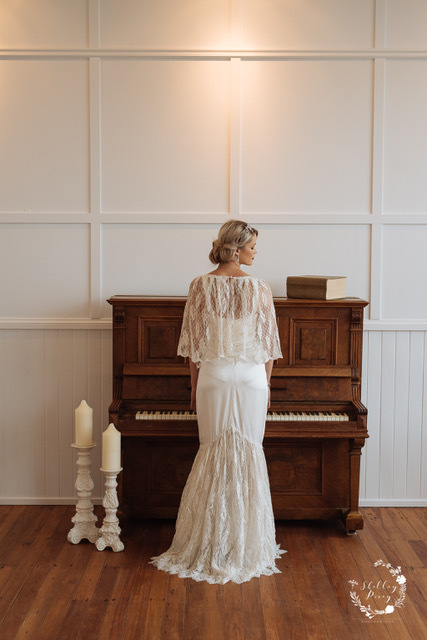 Jamie balances her time between London and New Zealand, which allows her to manage the creation process of each gown whilst ensuring she is up to date with current trends that can be translated to the vintage aesthetic. 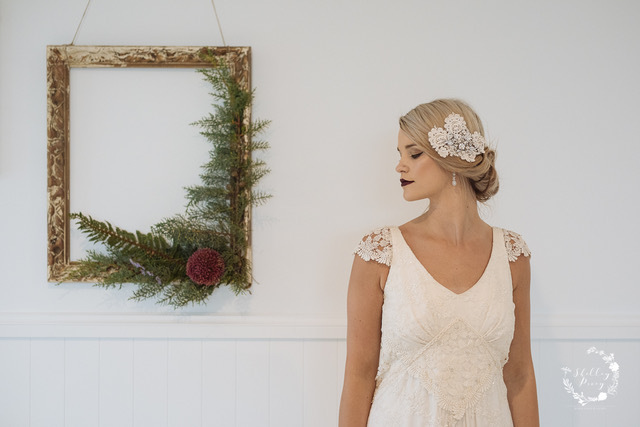 The location balance also allows time for clients in both London and New Zealand to ensure she is available in the run up to one of the most important day of every bride’s life. 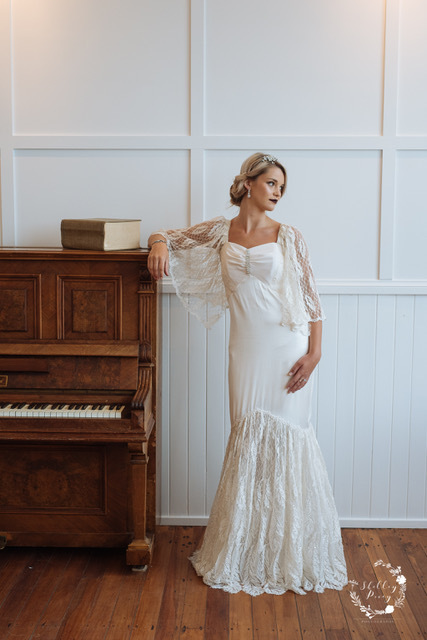 Contact Jamie through the Margaret Wray website, she will be happy to have you visit her showroom in Central Otago where current styles are available to view and try on. Your gown can be chosen from the current collection and adapted to your style or a new gown can be designed for you. We recommend consultations are booked 9 months prior to your big day however exceptions can always be discussed under special circumstances.